For small home projects or if you are just learning how to weld, there is no need to spend a fortune. You can get the best cheap welder that can literally perform every welding jobs. But there is no point having a low-quality welder that won’t last long and give you the desired result. It’s a little bit tough to find such welders for sale. But guess what, no matter what type of welding you are into, I have made a list of top performing but inexpensive welders. You won’t regret having them at all. That’s a promise! Now that you have the list, it’s time to review all of them. Let’s see how the experienced and beginner welders review them. 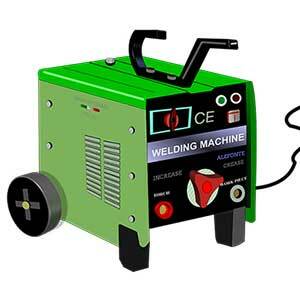 This is the most popular and recommended welding machine for sale. For the price, this welder is second to none. So many positive reviews about it. It’s so cheap but it will get the job done. Perfect for small and DIY home projects. It’s perfect for experienced one and even you have never weld before, you will love this bad boy. There are 4 power settings and it can be a little tricky for the beginners. So I am gonna explain it here. From lowest to highest power settings: Min & 1 is the lowest, Min & 2 represents the second lowest, Max & 1 represents 3rd lowest, and Max & 2 represents the maximum power settings. But before you set the highest setting, your breakers AMP should be checked to meet the welding needs. The welder should be used on a 20 AMP breaker to avoid repeated circuit tripping. You will be amazed seeing how many controls are there in this welder and it is really easy to operate even for the noob. From the voltage to temp to speed, you can adjust everything! For steady and nice welding, you will love it. So many who have never welded before calling it as one of the best welder for beginners. Tips: As PPE, you will receive some pieces of equipment, but don’t use these. Instead, buy a top-quality welding helmet, welding gloves, and welding glass. Now, watch the Goplus in action! Available in 2 colors. Portable, so great for moving around. It weighs only 35 pounds and the overall dimension is 14 x 8 x 12 inches. Made of stainless steel to serve rust-free years after years. You can weld stainless steel too with the stainless flux core wire. It can weld exhaust but unless you are an expert, it won’t look pretty. Works great with 10 lb spool. The gun is always hot, so weld with caution. Though it has automatic thermal safety protection, use your common sense. To avoid overheating, it has 2 air-vents. You can use the generator as the power supply. Intelligent architectural design. At the top, you will find storage to keep small accessories. People with 30+ years of welding experiences have recommended it. Their reviews are great. Great customer service. It can be great for the beginners who may have a lot of questions about the welding machine. Can’t weld aluminum. Only thin steel and iron. Heads up! A few welders have claimed and returned it saying it’s not a MIG welder at all. Maybe they were expecting the outcome of something high-end welder? Not so cool instruction manual. Beginners may find it difficult to understand the manual. Wanna do heavy metal? I am not saying you will get the result of the best welder brands like Miller or Lincoln, but this is a badass welder for the money. Whether you are a homeowner or hobbyist, you will find it highly reliable. It can do the job very well what it meant to do. You won’t be disappointed with its performance. People tried angle iron and ⅛” plate – they are really happy with the results! With consistent performance, it is a reliable one to do small to medium-duty welding tasks. Whereas the joint is solid, lots of welders have verified that the penetration is decent even for the 3/16″ steel. Yes, it will take a couple of passes, but it will get the job done. A perfect welder to the inside corner joints. From creating metal art to building a fire pit, it’s a great welder for the job. From fixing the broken lawnmower to broken garden utensils – this one is second to none. So many beginners were successful to join angle iron and square tubing at their first try. If you plan to buy this to learn how to weld, consider buying the welding helmet, gloves, and angle grinder as well separately. Here is a live demo with penetration testing! It’s a flux core welder ONLY. So, there will be some spatter and there is no way around it. You can use an angle grinder to clean up quickly. And the welder will help you to be a good one in MIG welding for sure. Why You Should Have Forney Flux Core Welder? Weighs up to 51 pounds and the overall dimension is 12 x 18 x 24 inches. AC unit with a 110v plug. Can accept 2 & 10 lb spools. Without trouble, the 10 lb spool will fit into the machine perfectly without having an adapter. It comes with a partial spool, but you should buy it separately. Run on 15 amp, but the breaker should always be 20 amp. You can use both .030 & .035 tip with it. If the welder is not working perfectly, try with .030 tip. If you want to use dedicated flux core nozzle with it, consider using Lincoln’s nozzle. Forney does not sell it separately. Using stainless wire, you can weld stainless steel too. Yep, you can weld exhaust as well. It does not take gas, but for small stuff – it’s highly recommended. Auto feed wire as long as you hold the trigger. Stay away from it if you are into MIG welding. Not recommended for heavy-duty welding. Perfect for light to the medium-duty job though. After two flux core welders, here come an arc welder reviews. I must tell you, the price of this one is a little bit higher than the previous two but worth every penny. For improved performance, it supports both the 115V and 230V. Thanks to the IGBT DC inverter! If you were hoping to get a DC welding machine, here is your great chance! So many Millar fans have recommended it for its unbeatable performance. A powerful yet lightweight arc welder for sale for your small home welding projects. To get you started with ARC welding easily, look no further. With excellent penetration and heat settings, you can literally weld any materials. Where 90 amp is all you need, it has 160 amp! Welders with 20 to 30+ years of experiences have recommended this little welder. This one is so quiet and this is a very rare feature in many welders. It’s so easy to use. To control the amp, there is an adjustment knob. Depending on the type of welding materials, setting the amp is really simple. With its LCD display to control all the adjustments, you can’t mess it up. In a nutshell, you will love it. Many have confirmed that this inexpensive (NOT cheap) stick welding machine can weld like a pro. Sometimes, you can’t distinguish it from a high-end welder. It comes with everything to get you started right away. The supplied electrodes are of high-quality and very good for practicing. However, you are recommended to buy the other PPE separately if you want to make it the best budget welder. Very lightweight; weighs only 16 pounds and the overall dimension is 17 x 8 x 12 inches. Move it & use it anywhere! You can weld aluminum with E4043 arc welding rods. If you are looking for the best cheap welder for aluminum, it is the one. Very few support aluminum welding. If you are looking for an aluminum welding machine, look no further! Literally, it works great with any electrode sizes. Even 5/32! Works great with a 20-amp circuit. Get plenty of penetration with smooth welding no matter whether it is ⅜” or ½” steel. The machine has all the protection that it needs. It has overload protection, overcurrent protection, and over & under voltage protection. You have nothing to worry about voltage fluctuation. People made table and truck rack out of heavy duty metal without any trouble! Get the outstanding result of the high-end welders with such low price! Beginners friendly. Even if you did not weld for years, you will do just fine. Experienced welders, as well as so many welding trainers, have recommended it. Have incident of the led meter not working after a few months. Weak spring on the stick holder. If you have never used a flux cored welder, this will give you a pleasant starting. It’s very easy to install and start welding, even for the beginners. The wire feed speed is totally adjustable, so you can weld as per your demand. No way to mess it up! People who have already used the Ironton welder are very pleased with its performance. It met their expectations and they left some great reviews about it. You can’t literally expect more! You are welcome to read all of its reviews. Surely, it’s not supposed to perform better with heavy-duty welding, but for small to medium-duty welding – it’s performance is beyond the expectation! It gives you everything that you expect from a nice litter wire welder. Yes, there will be some spatter. But that is common to every flux core welder for sale, right? Let me assure you, the spatter is too little for a flux core welder. Just do a little grinding around the metal, and you find the excellent result! Great welding equipment for all of your home projects. Literally, everyone confirmed that it is a well-built welder and when you touch it you must say it is solid. With the good spring on the ground clamp and solid handles – it will simply make you say – wow! Just make sure to use the 110v 20 amp circuit breaker for awesome performance. Wanna fix the deck on the mower? Or maybe you need to fix the metal chair? You do not need to hire a professional welder. Comes with the ground clamp, flux-core gun, and 6 feet power cord. AC output only that supports 110v electricity. Can weld up to 3/16 inches thick metal. Great portability with solid carry handle. At 80 amp, the duty cycle is 20%. Works great with the .30 tip wire. For versatility, it has two voltage settings. Will this cheap LCD stick welder do what you want? Let’s look at what it’s got. With AMICO Power 140 Amp Digital Display Welder, DC Inverter Stick/Arc Welding Machine you will easily control the performance of the machine in terms of how cold or hot you want it via its LCD screen and thereby giving you more control of your end result which is one of the main points of buying a welder. Because it is an inverter welder that carries with it the benefit of being lightweight which will ensure you carry it around with ease, unlike a transformer which is not portable. It will eliminate the frustration of getting unwanted results caused by voltage fluctuation; in fact, you might not notice because it compensates for voltage fluctuation automatically. Although this machine is cheap your end weld seam will not look cheap, you will get very great looking results that you would expect from the more expensive ones. It has a circuit breaker that frees you from the fear of losing your welder to over voltage, under voltage and current overload, a very common problem with welding machines. It has an impressive duty cycle which means you can get more output for a longer period with the machine overheating. It is an AC welder that means you can use it to weld on magnetized fields that is around magnetic objects or magnetized metals. An advanced control module improves the performance of the machine. Small size, light weight, energy saving, and no noise. Automatic compensation for voltage fluctuation can work normally against input fluctuation. Small splashing, great penetration, easy and simple to operate and aesthetic appearance of the weld seam. Over-voltage protection, under voltage protection, over current protection, overload protection. It is easy to control amperage. It is easy to start and maintain an arc. It is not a dual voltage machine, so you cannot use it on a 240 v plug. It has splashing; you are going to have to wear protective gear. The on/off switch is at the back which can be frustrating for most people. Looking at reviews by customers you will find that most of them are concerned by what is the maximum rod that can be used on this cheap welder. This machine in its highest setting will use a 3/82 rod on 70 -90 amps. You will also find from most customers that they had a hard time using the rods that are included in the machine, although that may be true the machine works incredibly well with other new rods that you buy. The maximum thickness that you can weld with this machine is 1/8 inches. Most question customers ask is, is this cheap ac welder usable with a generator? The answer is YES, but only if your generator is at least 4000 watts. Here is a closer look at the 160 Amp Amico DC Welder IGBT Inverter Welding Machine and what you can expect from this cheap welder. This cheap welding machine is the dual voltage that means you can use it in with 115v or 240v thereby helping you to get more power from the machine. It has an ampere control with LCD display which will give you total control of its output. It is very lightweight which makes it very portable, it comes with a shoulder strap that makes it easy to carry. It produces 160amps /23v with an efficiency of 60% which means you can do more at the longer period with this cheap welding machine overheating. It is a very silent machine which makes it perfect for welding indoors. It produces good looking weld. It runs a 20amp breaker that helps to protect the machine from excess voltage. 115V / 230V / 60Hz Input current at rated output 20 Amp. 160 Amp / 23V / 60% Duty Cycle / ETL Listed. Electrode holder and 10 ft. cable. Work clamp and 10 ft. cable. 110V & 230V Input power adapter cable & plug. The circuit breaks in case of sudden voltage fail. It needs to be connected to the power source that is stable and not overly shared. The on/off switch at the back that makes it hard to access especially if you put in a corner. The rods that come with the machine are not good so you really cannot use it straight from the box; you have to ensure you use other electrodes. From the customers that already bought and used this cheap 160 Amp welder, you will find out that although the machine works on 115v, for the best result you should use it at 240v input. This model is very similar to the ARC160 inverter with the difference being just the design although the ARC has sold better and is slightly more expensive otherwise all functionality is the same. This is what this budget welder can do for you. This welder has both stick and TIG capability at your disposal; this gives you an expanded capability of what you could achieve from this cheap welder. If you weld up to1/8-inch metal and lighter metals this welder is the cheapest and perfect type of equipment you can get. If you’re a beginner in welding or you’re starting out on using TIG welders, this is also a great option; it will get you started for a very cheap price. In fact, this is probably the cheapest welder that I am gonna review. 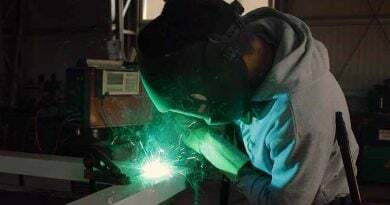 With this budget welder comes both the sports timer and the stitch timer, this gives you the perfect alternation between welding this is useful if you have to need to focus on the weld without moving your hands a lot. It has a duty cycle of 60% which enables you a longer period. This budget welder comes with a range of power setting, this ensures that you don’t have to use higher or lower power than you want to. You can use 60/10 electrodes on this budget welder and still get a very good result. Advanced Performance: Adopting advanced control module IGBT dual 115V and 230V, rated input frequency 60Hz, duty cycle 60%， improves the performance of the welding machine. Energy Saving: Portable handle makes it easier to operate, the light weight makes it more convenient to carry. Adjustable Function and Multiple Welding Methods: 2T, 4T (self-locking, non-self-locking), the current decay time can be adjusted; the gas time-delay can be adjusted. Supporting TIG＆STICK welding, STICK maximum welding 4.0 stick. Applicable material: Suitable for stainless steel, alloy steel, carbon steel, copper, copper alloy and another non-ferrous metal welding. It supports both TIG/STICK welding. Affordable price and considered to be another best cheap welder. It includes added accessories that are very good quality. it is only a dc inverter you cannot weld aluminum. does not come with consumables. does not include a foot pedal. 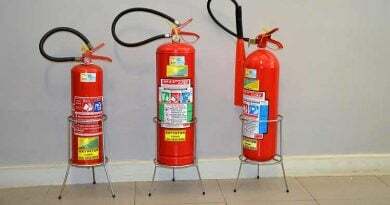 The customer opinion on this product is fairly good, most customers are happy about how well it performs being a budget welder; some have experienced leakages in the connection of the argon gas bottle and the machine. Overall most of them are well pleased with the stick mode while most raised issues and frustrations seem to concern the TIG mode of the machine. Although it has both the TIG/STICK capability the stick functions much better than the TIG option. Bottom line, this is a very cheap welding machine but it packs a lot. This is budget TIG/STICK /MIG welder packs a punch and considered to be one of the cheapest gas MIG welder, here is an overview. This cheap welder for sale gives you more control to its performance in terms of output and the end result. It has the automatic voltage compensation which protects the machine from an electrical surge. It has steep amperage control with an LCD display which helps you get the output results required. It has a 60% duty cycle that allows you to use to more output without overheating. It has an output range of 10-205amps which makes it usable in welding very light metals without getting holes and the high power allows you to get decent penetration in denser metals. It features advanced IGBT technology that ensures perfect waveform during formation which will help you maintain steady arc stability. High-quality feed machine with built-in solenoid will convert electric current into mechanical that means you will get continues automatic feed of the wire spool. MTS-205 capable of welding up to 1/2″ aluminum, alloy, mild steel, weld steel, stainless steel, copper and cast Iron. It can work well with aluminum wire, solid wire, and flux cord wire, it also has the TIG Torch and sticks function. Advanced IGBT technology, featured wave-form control system, a perfect waveform of volt and amp during, short circuits and arc burning cycles. Synergic controlled, very clear wire melting droplet transfer, very few spatters. Fast, precise, clean arc ignition and arc ending. Using high-quality wire feeding machine (iron) to ensure smooth wire feed, especially when using aluminum wire welding aluminum, automatic control gas solenoid valve has been installed inside the machine. A great but cheap TIG welder. It’s a 3 in one welder. Comes with added accessories including a bag for storing cables and torch. It has efficiency of 90%. Small MIG welder with great functionality and definitely another best MIG welder for the money. The argon gas inlet on the machine is loose and needs to be fixed out of the box. Customers feel that this cheap gas MIG welder is defiantly a good purchase as you are getting a lot for a cheap price. Overall this product certainly packs a punch for cheap, although it built material is not that good but considering it’s a budget MIG gas welder it is worth to but before you go for the more industrialized. Here is an overview of the Amico 3-in-1 Combo Welding, and what you would expect to find. This budget welder gives you everything you need, whether you want to cut, weld up to 1/8 inch metals or weld much thinner metals and still have a good looking result. This is a great option for small business and lightweight home welds. This cheap welder has 60% duty cycle on the torch, Plasma cutter and stick with an efficiency of 85%which give you the advantage of getting more amps from your plugin an extended period without overheating. It has an automatic temperature control coupled with a steeples amperage control which means it’s going to stay cool for a long period of continuous use. Featured wave-form control system: perfect waveform of volts and amps during, short circuits and Arc burning cycles. Automatic compensation for voltage fluctuation, over-voltage protection, under voltage protection, over current protection, overload protection. It has very simple controls which makes it very easy to use. It is easy to switch to different modes for example from TIG to Stick. It comes with added consumables, for quick testing and familiarization of the machine. The plasma cutter produces a lot of sparks. The gas hose that comes in the box does not fit. This cheap welder has very satisfied customers. Eddie says, “Very happy I bought this instead of an expensive machine. I use the plasma more than anything and it cuts 1/4″ like butter. The tig is great and has a button to operate. This machine is defiantly a competitive product you should consider if you’re not an industrial welder. This budget welder gives you more for cheap and for less equipment which can be space consuming and hard to move around. It is a double voltage that means you can use it in any plug with the added benefit of having more sustainable voltage to work with. It includes both AC and DC current that enables you to use it with a range of metals including stainless steel and aluminum. With this budget welder, you do not have to worry about power fluctuation as it comes with voltage protection. You no longer have to worry about your voltage setting and the plug you have connected to as it comes loaded with a step-down transformer for you which converts the voltage to that set in the machine. All its features merge to ensure it provides you with a stable and easy arc and overall good looking weld. Compact design with carrying handle for easier transit and storage. Dual voltage input design to meet your different needs. IGBT module technology for energy-saving and stable heat dissipation. The inverter welder switches AC power to DC then incorporate a step-down transformer to produce the proper voltage and current. Its over-voltage protection, under voltage protection, over current protection, overload protection designs ensure you are safe when you use it. Its cables are not stiff and hard to move but very soft and portable. The end result of the weld is very high quality. Build material feels low quality. The torch is very bulky and might be hard to use in limited space. Customers are really impressed with this cheap welder. If you are thinking of purchasing a budget welding machine this might be a great option. So far it has great customer reviews from verified customers that are genuinely impressed with its functionality. Compared to other stick welding machines it is a very competitive option with very satisfied customers. How to Select The Best Cheap Welder? It’s a little bit tricky and somewhat difficult when you want the best but has a budget issue. In such a situation, you need to be realistic. You can’t expect the same result of a high-end welder from Miller or Lincoln. But then again, if you keep some points in mind, you will be able to pick the right one that can get the job done. Try to understand and keep in mind the below factors while selecting your welder machine. It has to be easy to use. That’s a very important criterion to have a portable welding machine. No matter whether you are into MIG welding or TIG welding or flux core welding – make sure it is very easy to use. It won’t be the best MIG welder for beginner if it’s not easy to operate. But how do you know it’s easy to use? Read real reviews of people who have actually used this, especially from the beginners. If they say it’s easy to use, you should trust it. No matter how cheap it is, there is no point having it if it does not last long. Inexpensive welders does not always mean it has to be of lower quality. It should be able to perform for some years at least. So, read the warranty information carefully. Also, some people left reviews after using it for several years. Their feedback is really helpful to understand how many years your welder is gonna last. When you try to weld really thin steel, your welder should support low AMP. Now all the welders have low AMP support. Take this issue seriously. In home or garage welding projects, you may need to weld thin material. I have reviewed some welders above that has adjustable AMP support. It will be wise to have that. Almost all the welders support AC current. However, only a very few of them support DC current. Some tasks require DC current. Some welders support both the AC and DC current. I would recommend having that one that supports both. There should be safeguarded against overload or overheating. There should be an automatic on/off features. To keep the welder cool, there should be proper ventilation as well. These welders are not hard to find and I have reviewed a couple of them above and you can find the best cheap welder from there. The speed can’t be too high or too low. For beginners, high wire feed speed can be problematic to get a decent welding job. If it is too slow, even a small job will take forever! Based on so many positive feedbacks (I read a lot! ), I must say you may have the Forney Flux Core Welder. At least I would go for that one. It’s beginner friendly and expert welders also love it. Literally, you can weld almost any of your small projects. The price is right and the overall performance is satisfactory. For small home projects or to start learning how to weld, these inexpensive helmets are really great. The finished result is awesome and they have many functionalities that are available on only high-end welders. 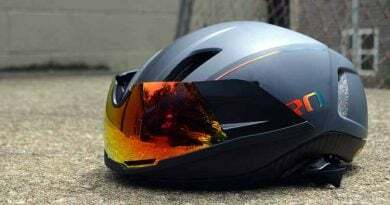 ← How To Test Auto Darkening Welding Helmet?